British tenor Robert Anthony Gardiner was a member of the Jette Parker Young Artists Programme from 2008-10 and made his Royal Opera debut as Egoldo Mathilde di Shabran, followed by Filch The Beggar’s Opera, Count de Lerma Don Carlo, Major Domo Der Rosenkavalier, Second Croupier The Gambler, Gastone La Traviata and Second Jew Salome. He also covered Pane Calisto, Nathanael Les Contes d’Hoffmann, Borsa Rigoletto, Steuermann Der fliegende Holländer, First Sailor Dido and Aeneas, Damon and Coridon Acis and Galatea, Ruiz Il Trovatore, Panas The Tsarina’s Slippers, Bajazet Tamerlano and Tom Rakewell The Rake’s Progress. He performed Britten’s Serenade for Tenor, Horn and Strings during the “Meet the Young Artists Week” in the Linbury Theatre. In 2011 he returned to the Royal Opera as a guest artist to sing the role of a Lover Il Tabarro. Elsewhere he has sung Siebel Faust (Opera North/Tallinn), Lensky Eugene Onegin (Grange Park Opera), Belmonte Die Entführung auf dem Serail (Iford Arts), Eurimaco Il ritorno d’Ulisse in Patria (Opera Frankfurt), Aubrey Maria di Rohan, Ctesippe Penelope, Strážnik in Hubička by Smetana, and Joe in Winners by Richard Wargo (Wexford Festival), Testo Combattimento di Tancredi e Clorinda (St Pompont), Ferrando Così fan tutte ( Ryedale Festival), and Alonze in Gretry’sL’amant jaloux, the title role in Philidor’s Blaise le savetier and Polidoro La finta semplice (Bampton Classical Opera). In 2011 he took part in Scottish Opera’s Highlights Tour and sang the lead role in John Barber’s community opera We are Shadows for the Spitalfields Festival in London. Concerts include Haydn’s Nelson Mass (Manchester Camerata/Douglas Boyd), Stravinsky’s Mavra (City of Birmingham Symphony Orchestra/Sakari Oramo), Britten’s St Nicolas (Wexford Festival Opera), Handel Messiah (Gloucester Cathedral/Adrian Partington), Bach St Matthew Passion (Leicester Bach Choir/Richard Laing), Zadok in Handel’s Solomon (Stour Festival), Britten Serenade for tenor, horn and strings (Filarmonica Arturo Toscanini/Timothy Redmond) and in April 2013 a Britten recital at the Teatro Rossini in Lugo, Italy. Robert Anthony Gardiner studied at the Royal Northern College of Music, Frankfurt Opera School and the National Opera Studio, after gaining a BSc Honours in astrophysics at Durham University and a Certificate of Education at Manchester University. Awards include Elizabeth Harwood Memorial Prize, Wexford Festival Rosenblatt Award, Peter Moores Foundation Scholarship, Gwilym Gwalchmai Jones Award, Mario Lanza Educational Award and Middlemore Educational Foundation Award. Recent engagements include Ywain in Birtwistle’s Gawain with the BBC Symphony Orchestra at the Barbican, and the world premiere of Tolibkhon Shakhidi’s Romance for voice and orchestra based on Shakespeare’s sonnet Devouring time at Cadogan Hall. 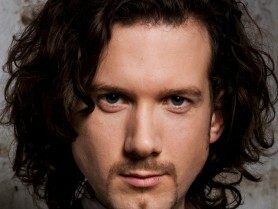 He is currently singing Don Ottavio for Diva Opera on tour in the UK and France.